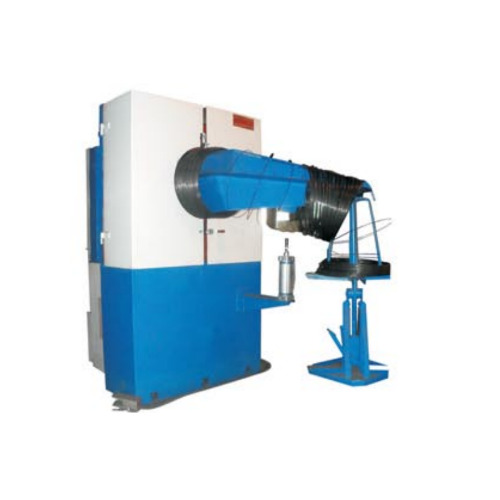 We provide Dead Block Coilers for H.C., M.S., S.S. and non-ferrous wires, ranging from 1mm - 8mm. To achieve higher productivity high drawing speed is not the only requirement, but uninterrupted production run of the machine is more useful as a longer production run at a given size is better for the lower operator fatigue. Also it provides higher coil weights useful in further processes. Drawing dead block coiler with water cooling and pattern lay also available. Wire range : 6mm to 0.9mm for all metals and alloys.